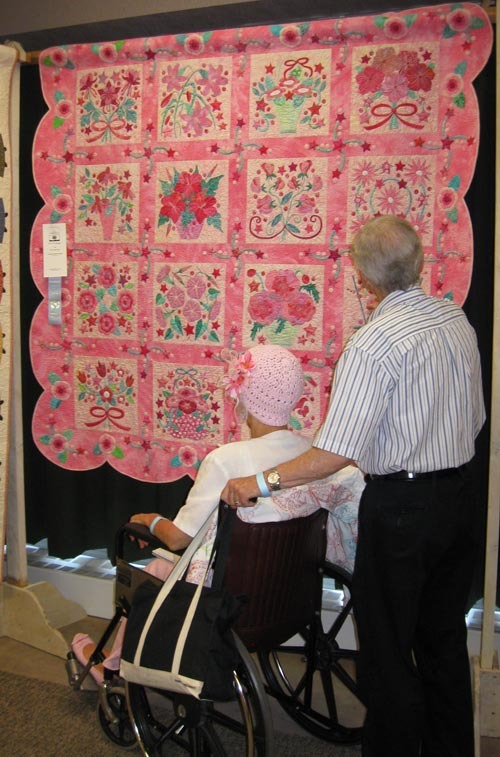 The Asheville Quilt Guild held its 28th annual quilt show last weekend at the North Carolina Arboretum. It's a beautiful venue, a wonderful show, and lots of great people. And then there's always Asheville, a town that seems to have just about everything: the mountains, wonderful galleries and music, great restaurants. The icing on the cake? Two pieces from Fiber Art Options members won ribbons. Susan Brubaker Knapp's "Pink Petal Party" took an Honorable Mention in the Applique/Mixed Large Quilt category. 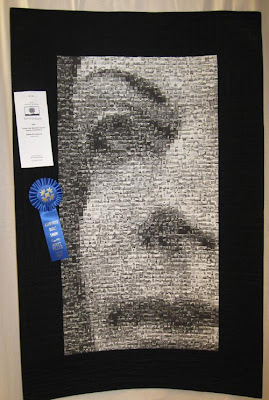 And Debbie Langsam's "Under the Watchful Eye of Queen Charlotte (II)" won first prize for Small Pieced Quilts.